International project Fashion by the lake is financed by program Youth — Youth exchange. It includ 5 European countries : Slovenia, Slovakia, Poland, Germany and England. The youth exchange is in England. The leader organisation was Grampus from England. International project Nature exchange was financed by program Leonardo da Vinci. 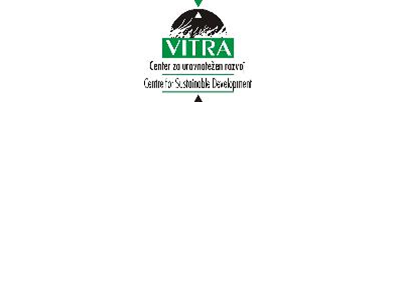 Vitra is known in international network as a good and interesting hosting organization for that kind education for adult. We cooperate in that kind of activity since 1999. The project Nature exchange included 8 participants from Scotland. In 10 days they visited different places in Slovenia. They visited turist farms, interesting people (blacksmith, wood maker, …), visited the see, Alps and Karst world, the capital city, but mostly they enjoy in colouring of Slovenian meadows. We invite you to see evaluations of group 2005 http://archnetwork.org. The evaluations of group 2006 coming soon. The project included 21 participants – students of high special school, program Communal. All they are regularity employ in different companies as a managers of communal companies, where are mentors (tutors). All had finished V. grade of education. The project ŠKIS they saw as a good opportunities for international exchange of experience on communal domain, mostly on leading the people. This year we were again the receive organisation in international program Leonardo da Vinci, which is financed by European community. 8 members—mentors/tutors form Scotland participated in 10 days exchange of good practice of non formal environment education. The leader and sending organisation was ARCH from Scotland. In October 2007 we started with two years international project CHANTICA(program Culture) . Contemporary art based on culture past achievements, history development and nature area of each country. The author of this project is Mr. Martin Clark from English NGO Grampus. The project includes 5 NGOs and 4 countries of EU—Grampus and ARCH from England, Stropek from Slovakia, Istor from Greece and VITRA from Slovenia.